Well the kitchen demolition and reconstruction has begun. And it just happens that a part of the kitchen is my computer area. This means that I have to spend time “cleaning” and sorting the items and equipment on my desk. And I did not realize that it would be such a job. 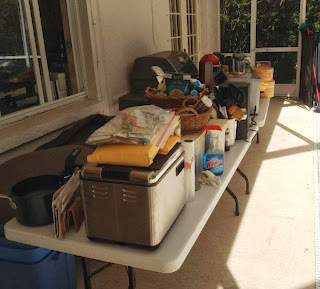 The kitchen is now devoid of all counter-top appliances. The new cabinets are sitting in the garage. 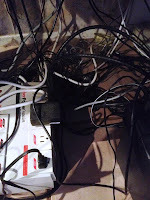 And I am looking at the tangle of wires beneath my computer desk. 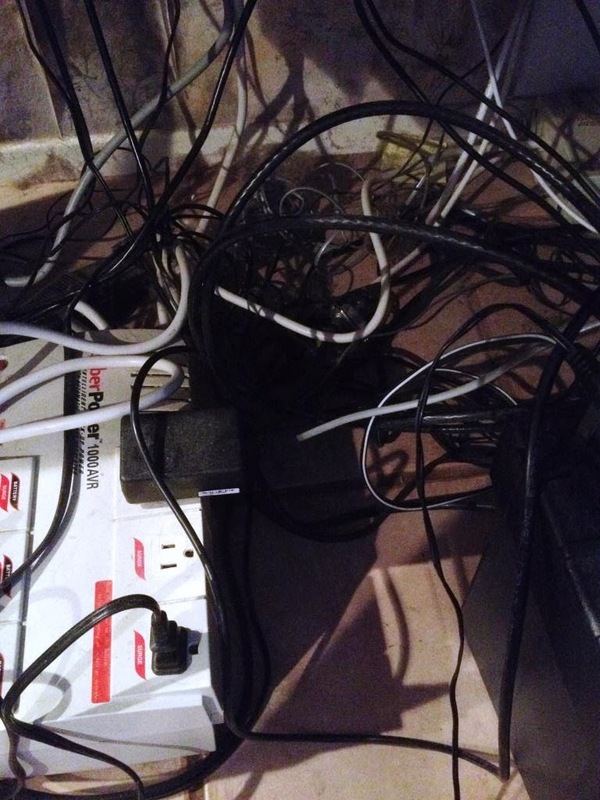 Damn what a conflagration possibility, and what a tangle of endless plug-in things. And so I am just taking a Trek day off. I was hoping some PC pixie would arrive in the middle of the night and transpose the years of wires into a semblance of order. I will never leave a quarter under my pillow again. The house, The Pack, are in a shambles. I think I can take one day off from my Trek. And yes today on the day that demolition and construction begins I cycle 22.3 miles on my Schwinn 150. Today my total is now at 6,347.1 miles. 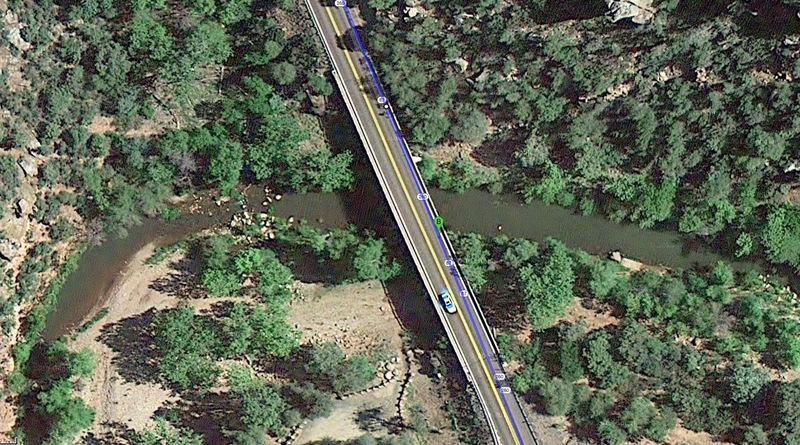 On my virtual Trek I am currently located on AZ-260 E just a bit past Nelson Fire Road. And I am about 109 miles from the Arizona/New Mexico state border. Not much to see, but definitely no congestion. Okay it is Frankenstein Day…apropos that tomorrow is Halloween. 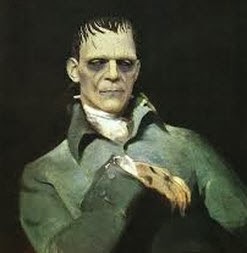 But truly today is the day that commemorates Mary Shelley’s, the author’s, birthday. And not to be outdone today is also Create A Great Funeral Day. Anybody need some parts? Must have been some marketing agency that came up with the idea on a twist to increase, no haphazard…just blatant, sarcasm, to increase the sales of caskets and the outlay of floral arrangements. I think I will watch Soylent Green. And writing about green, after I finished my cycling and was taking my shower I had this eerie feeling that something was watching me. My Shape Shifter… He was quietly watching as I showered my hair. This morning I cycled another 22.0 miles on my Schwinn 150. Total miles to date - 6,324.8. I am located somewhere on AZ-260 E and I have just gone by Camp Tontozona, the football practice camp for Arizona State University. I’m heading southeast toward Box Canyon Trail. Just watched a movie in which the issue between the characters is the current social communication gap. The couple spent too much time on cell phones and laptops to realize the reality of their relationship. Thank you Facebook, thank you Google, thank you Microsoft… et al. We no longer understand relationships without the crutch of an electronic gadget. 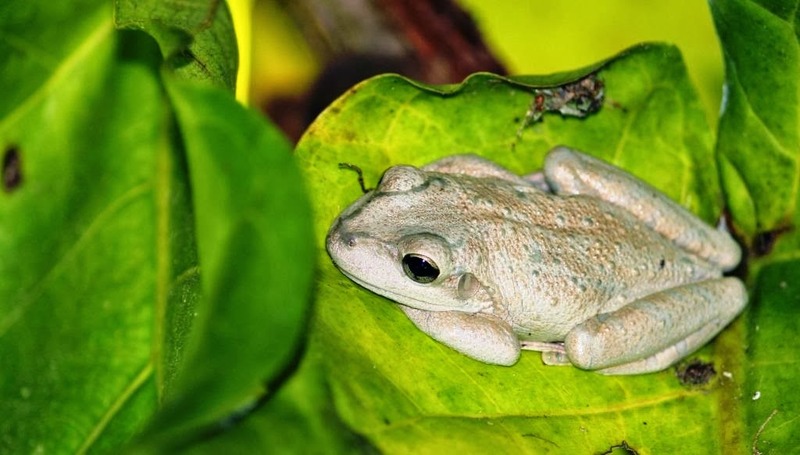 ¿Moi aussi? All-things-being-equal the kitchen blast-off is supposed to start tomorrow. I have not got into a dizzy-fit as I have pre-programmed myself to believe that all the required construction will not be completed until the end of November. Rule-of-thumb in this day of electronic speed, human speed has dumb-downed. Supper last night kept my fasting blood sugar count down this morning at 88 mg/dL. Not bad for this track record now. Supper was a Spicy Coleslaw and Thai-ish type Chicken and Green Beans over rice. I will be posting my quick recipe on Jim's Gotta Eat shortly. I've got a bit of catching up to do. This morning’s 21.9 miles on my Schwinn 150 helped me to top the 6,300 mark – 6,302.8 miles. Yesterday I said that I might take a day off but I didn't and I now know that this morning cycling has been an ingrained habit because I actually got up earlier than normal just to complete my miles. I now have about 924 miles to my next Interlake address goal point. I am currently located, on my virtual Trek, heading southeast on highways AZ-260 E/AZ-87 S. I am just at a crossing of the East Verde River. The “B” marker below is my other me. I am beginning to become ticked off with the topics of some news stories of recent press… and of course they are more enunciated as the speed of the electronic broadcast spreads. It is the news clips regarding some idiotically proclaimed and fundamentally professed religious persons not leaving tips for service rendered due to their perceived perceptions of the servers’ demeanor, deportment, gender, and race. Words are very hard for me at this point. Not because I am perturbed with the clients’ belief, but because it would seem that those, the clients, receiving the service, that is, the food and wait service, are actually robbing and lying to individuals by accepting the service in the first place. My iGoogle is shutting down in 4 days. 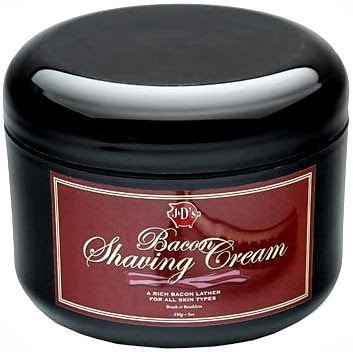 Time to shave... and bacon all day. Why? Available through Amazon and if you live in Florida you better get it but “It remains unclear when the tax will be included on the Amazon website. That could be when dirt is first turned on either of the distribution centers that Amazon announced this week, or when the first package is ready to roll out the doors of either location.” Jacksonville Business Journal, October 24, 2013. My video companion this morning on my cycling was the 2012 movie Morgan. Nice movie about a cyclist, now paraplegic, who wants to re-enter his competitive world by entering a race. The top of our new An Unnamed Classic, without borders, has been completed. We have begun a new untitled one but you will have to wait to see details. The third band of our Vanderbilt afghan is half-way completed. Only four-and-a-half more bands plus borders to go in our design. This morning I cycled another 22.0 miles on my Schwinn 150. I am headed south on the Zane Grey Highway. Following this highway also known as AZ-260 E I am somewhere north of Strawberry, Arizona, population at 1,030. The elevation is at about 5,800 feet. And yes there is snow on the ground. Today we celebrated with two circular cakes; one chocolate, chocolate, chocolate; and one vanilla with strawberry cream. Looks like I will have to cycle a wee bit more tomorrow to "unspike" my blood sugar count. Belly Measurement - 33"; Total Loss - 11"
Our, (no longer), Sea Foam afghan has gone to its new home in Florida. Check out our updates at Afghans SB. And this late morning I cycled 22.0 miles and I burned off another 661 calories on my Schwinn 150. I am now averaging just 630.5 calories every single day. Not bad for an hour and about 10 minutes. My Trek now has me traveling on AZ-260 E, the General Crook Trail and just a bit after Fossil Creek Road. I am just south of West Clear Creek, Arizona. The landscape is certainly a dry one. I wonder whether the next 2014 Florida gubernatorial election should prove somewhat interesting. I’m not particularly political but it would definitely cause this head to turn should the final two candidates for Governor be the current and somewhat unpopular, Rick Scott (Republican) and the former one Charlie Crist (now Democrat formerly Republican). Something sure to watch in the upcoming year. And something caught my eye. Well this small insignificant inhabitant of this planet called earth is certainly amazed at the BIG business and the quantity of items available for sale at The Catholic Company. But I am sort of confused at one specific statuette. It is priced at $199.95… Such a deal. BUT it can also be bought at Walmart for a considerable lower price of $154.99. So we now have these two huge conglomerates offering the same item for sale at a considerable cost spread difference. I wonder if The Catholic Company will match Walmart’s price. And if there is any guilt the $45.04 can be placed into the offering plate. 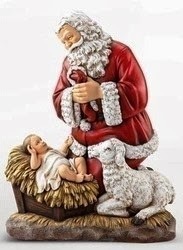 But, I am somewhat befuddled… The statuette is a figure of a mythological creature, Santa Claus, kneeling to a reclining child, Jesus, while a somewhat large lamb looks on. And the explanation on The Catholic Company sales’ website is “…This kneeling Santa figurine represents the world and Heaven meeting face to face.” When was I taught that Santa Claus, aka Saint Nicholas, is a viable representation of me? How? And another question - Which part is not a myth? The blocks of An Unnamed Classic quilt have all been completed. The arrangement of the blocks and the sashing is now being constructed. Work on the third band of our Vanderbilt afghan continues. Today on my Schwinn 150 I cycled another 22.0 miles. This morning I reached a point on Camp Verde Bridgeport or AZ-260 E Highway. I am just about at Cottonwood-Verde Village. This is a retirement and bedroom community for Cottonwood, Arizona. About 70% of the residents are retired. Population is about 12,000. Enough said… (Yup, I'm there.) Just a different Rodeo Drive. And today I began running errands just after I had cycled. I just got home and it is early evening. I'm going to be short. Tonight I will be working on our Vanderbilt afghan. And we will be continuing the design and construction of An Unnamed Classic quilt. I read this this morning in Julia Cameron's The Artist's Way. "Stop complaining about the lousy curves you get thrown and stretch, reach for what you really want." I think she was referring to me. Today I cycled another 21.2 miles on my Schwinn 150. Another goal reached this morning; I topped the 6,200 mile mark. My total miles to date – 6,214.9. This morning I am on Highway Arizona 89A N just about due west of Coyote Springs and south of Woodchute Mountain in Arizona. I believe that the next city that I come to is Cottonwood. And I am about 250 miles from the New Mexico state border. I got somewhat ticked off last night when I watched a commercial on TV. It was an ad the expounded upon the reasonable, albeit unreasonable, loss of weight one could effectively realize in a short period of time with their product. The product, a tread climber offered “in just 30 minutes, 3x a week…” that one is sure to lose a “great” number of pounds. BS!!! I got more and more irate with the personal testimonies that were presented. Yes there is truth to the fact that there are a good number of calories burned using the product, but there is also the fine print. And yes it is a marketing and sales advertisement, but at what point does it become entrapment? I have been cycling on my stationary Schwinn 150 almost every day, consistently for almost 11 months. I am burning on the average 630 calories each day. I have only lost 7.6 pounds! On purpose? Okay I didn't need to lose much weight but what about the fine print? What about the diet? What about the truth? I worked on a 1794 record in my search and research for Smith’s in the Grenada Register of Records. It feels good that I have accomplished a return to my genealogy work. I will be posting my 1,072 posting to A Genealogy Hunt. Last night I made my next batch of Scotch Bonnet mixture. Apropos that as this is close to Halloween it could be a Scotch Bonnet brew. This one is Beer Scotch Bonnet Pepper Sauce and Vinegar; a two-for-one. And this one is hotter than either the SB Spread or the SB Chili Relish. 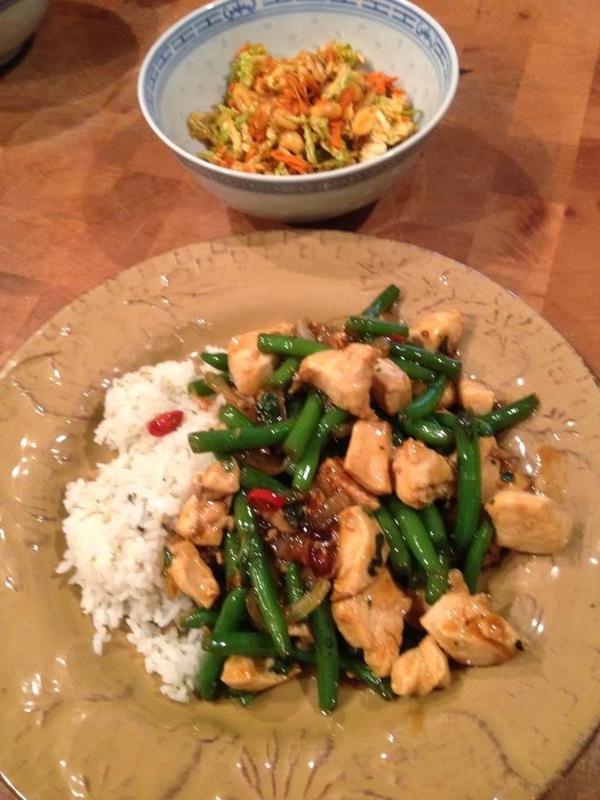 Check out Jim's Gotta Eat for my quick recipe write-up. Andy and I are now creating and constructing two new quilts and the fabrics have been chosen for both. The design is a very simple but classic one, sort of an unassuming variation on a log-cabin, woven log, and Bonnie Scotsman patterns. Soon to be named. Here's a sampling for one. Today I cycled 21.2 miles on my Schwinn 150. This morning I have now made it to Whipple Street in the City of Prescott, Arizona. The population of Prescott is about 40,000. 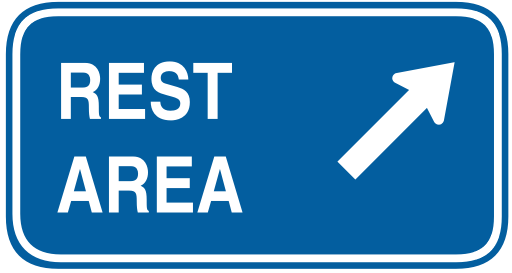 I am currently heading west toward Campbell Street. I received some good news from my meeting with my Cardiologist. My cholesterol levels are very good and my triglyceride count is at 179, a very commendable reduction from topping at more than 450 over a year ago. I’m just shy of the normal point of less than 150 and this now is my next goal. Hurray for the cycling on my Schwinn 150. In 314 days 6,193.7 miles. Watched two movies last night. The first, Old Joy (2006), takes place in Portland and on the outskirts in Oregon. Two friends take a car trip to a hot springs. The other movie, Funkytown (2011) starts in 1976 in Montreal, Quebec. It is about the immediate lives of a number of Montrealers as they are affected by the Disco craze and the period just before entrenchment by the Parti Québécois. I haven't as yet found a video companion for my Trek, but I am going continue to search. This morning I watched the documentary Fall From Grace (2007). All-things-being-equal I did learn that the Westboro Baptist Church in Topeka, Kansas, consists primarily of members of the closed-minded leader’s large family. The kitchen is still in a state of construction and confusion. It certainly does not lend itself in any way to an environment of creative cuisine. 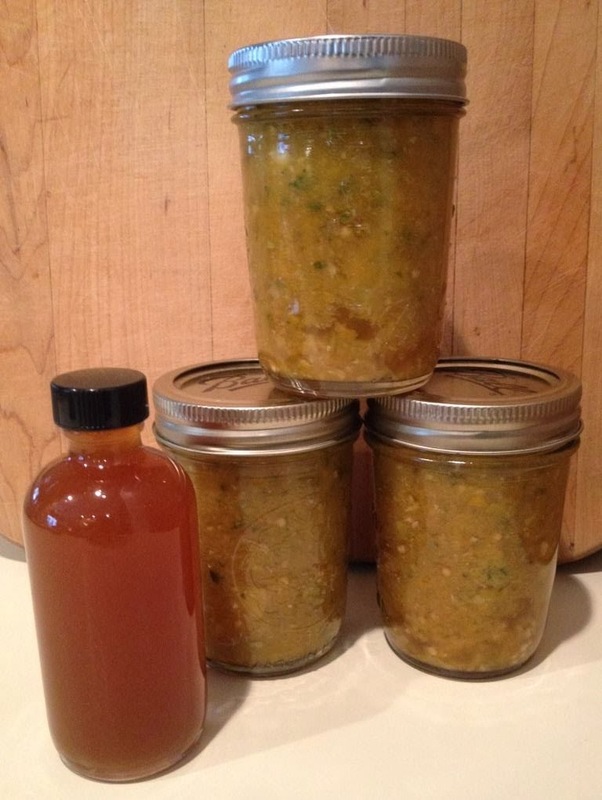 This afternoon I think I will make a batch of Scotch Bonnet Beer Chili Sauce. Who knows how that will turn out? Both the SB Paste and the SB Relish are keepers. Check out my creations at Jim’s Gotta Eat. 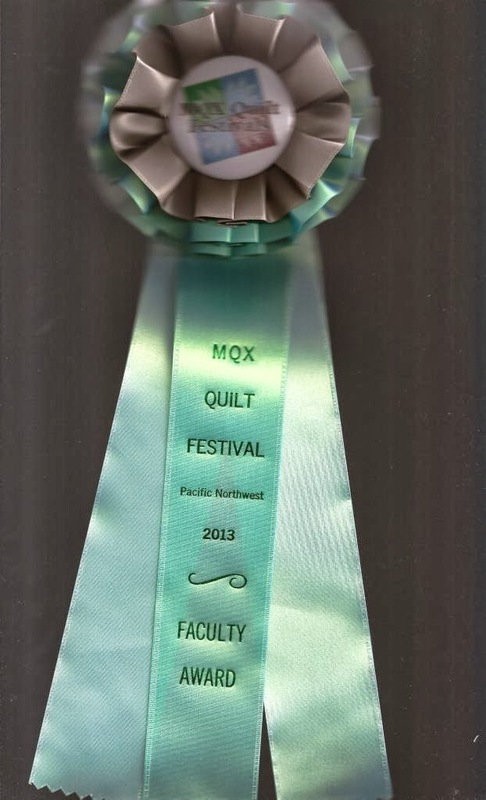 We received notice that our Cosmo's Moon quilt and wall hanging did receive a Faculty Award at the MQX Quilt Festival - Pacific Northwest 2013 in Portland, Oregon. Thank you Rick Taylor. Tomorrow I reach my 6,200 mark on my Schwinn 150 and I have only about 1,033 miles to my next Interlake address goal point. This morning I reversed a piece of my routine. I wrote my morning pages, 750 words, first and then I got on my Schwinn 150 and cycled 21.1 miles. My total to date, 6,172.5 miles. 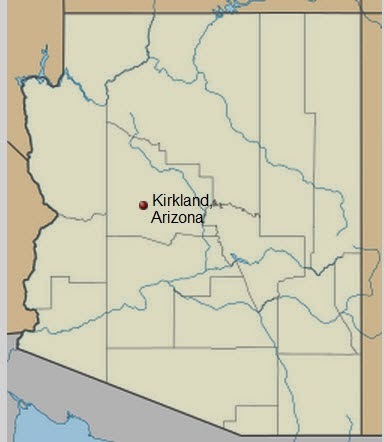 And on my virtual Trek I am somewhere in what appears to be a dry scrub brush valley on AZ-89 N. I am a wee bit south and west of the Town of Kirkland, Arizona, population of about 1,600. From my location I can see mountains in every direction. And I have finished watching, my cycling companion, The West Wing, all seven seasons and 156 episodes. I have to now find another video cohort to accompany me along my Trek. 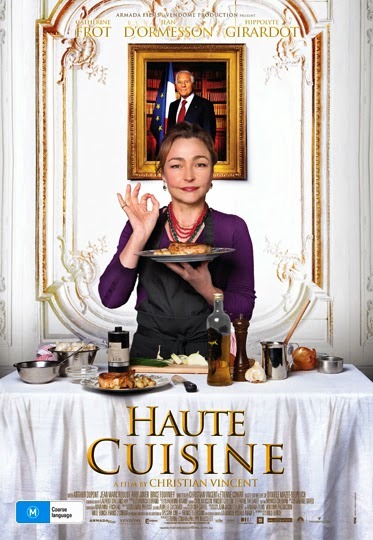 This morning I watched the 2013 movie Haute Cuisine. Just up my alley, but a movie about cooking which I said was not a wise move for me to watch while I am cycling. But this movie, in French with subtitles, is about the short period of time the Hortense Laborie works as personal cook to the President of France, François Mitterrand. It is narrated from her position and last day at a research base in Antarctica. Not bad, not great. This morning I cycled 22.0 miles on my Schwinn 150… and yes this is not a recording. This is my morning Trek, Jim’s Trek. I am now currently on my 312th day of my cycling journey and on the 89th day of my return from Seattle to Tampa. I am still amazed at myself that I have not become bored with this repeated event of my daily routine. In two months I will begin my 63rd year and I wonder how many miles I will have cycled and where I will be in my virtual journey. Today I am located and headed in a northwesterly direction on AZ-89 N. I am at an intersection of AZ-89, Date Creek and Stanton Roads. It doesn't look like it rains much around here and I can definitely see that I will shortly be climbing upwards. I do believe that Weaver Peak is somewhere to the left of the road. Last night I threw together a Shrimp and Egg Noodle Salad. I made the Salad of some ingredients I found in my freezer, refrigerator and pantry. It was so damn good that I had to have a second plate… not just a second helping, a second bloody plate. And my morning fasting blood sugar count jumped up 10 points to 101 mg/dL, my calculated A1c equals 5.08%. Work on band three of our new Vanderbilt afghan continues. As the design continues I have decided on three initial bands of the Caron color Lace. The quilting on our Longarm to our Tampa Kaleidoscope continues. We have started a new commissioned quilt and the chosen fabrics will make this new quilt sing. I am still in Season Seven of The West Wing. The episodes are now highlighting the transitional period of the newly elected President. I can now understand the writing and developmental reasons for terminating the series at the end of this season. My choice for my next viewing companionship while I cycle? Any suggestions? This morning is a quiet Sunday and my 311st day cycling on my Schwinn 150. Today I cycled 22.2 miles and I burned 681 calories. I just checked out a picture of myself from when my grandson was born. Even though he’s quite large now there definitely is no more shelf on my torso to rest him on. Damn there has been some change. Today on my virtual Trek I am traveling south on US-93 S / Alamo Road. I’m still in the desert scrub lands of Arizona. I’m expecting the Road Runner at any time to speed on past. Today I am about 2,247 miles from my final destination on my journey, Tampa. I am also about 1,526 miles from Seattle. And here’s something I didn't know. Today, October 20th is a Bahá’í celebration of the birth of Báb. He was the Christians’ John the Baptist of the Bahá’í faith. 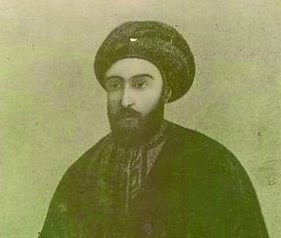 He is referred to as the herald of Bahá’u’lláh. And on this 310th day of my Trek on my Schwinn 150 I cycled another 21.0 miles. Today I topped 6,107.2 miles. and I am currently cycling a daily average of 19.7 miles. My goal on my virtual Trek is to cycle the equivalent number of miles from Tampa, Florida to Seattle, Washington and back again. This is Jim's Trek. I began my Trek without any knowledge of what would happen to me, both mentally and physically, during and at the finish of my journey. Well I have now, on the 310th day, reduced my waist from an original 44 inches by 11 inches. I have, more or less, got my diabetes under control and have not been taking any diabetic medication for three months. Mentally I have now embedded my daily cycling as a routine part to the start of my day. I am currently located, via Google Maps, southwest of Bagdad, Arizona and I am headed in a southeasterly direction along US-93 S.
Aaron Sorkin's "walk and talk" creative methodology certainly is highlighted in this past episode of The West Wing. The Presidential candidates are on the road and the speed of movement and delivery of both action and words is mindboggling. Watching while on my Schwinn 150 certainly helps me to keep up to a good pace. The second band of my new Vanderbilt afghan has been finished. Number three has now begun. The quilting of our Tampa Kaleidoscope continues. We have begun designing a newly commissioned quilt the KJ 2013. Check out both Afghans SB and Quilts SB for progress and details. I picked another two dozen Scotch Bonnets today. Am looking at making some Beer Hot Sauce. Stay tuned to Jim's Gotta Eat. Question: Is it a norm for factions of social groups to delineate themselves into self-appointed elitist strata? And my cycling this morning on my Schwinn 150 equalled 21.5 miles. Today I have completed 1,829.1 miles of my return journey from Seattle to Tampa. This is now 30% of my total Trek to date. This morning on my virtual journey I am in Arizona and still in the desert. At the junction of Alamo (Hwy 15) and Chicken Springs (131 Hwy) Roads I took a left hand turn. (I'm still looking for the Chicken Ranch.) I then headed in a northeast direction and at the small Town of Wikieup, population of about 300, I jumped onto US-93 and headed south. As soon as I finished my cycling on my Schwinn 150 this grandfather headed over and around the corner and babysat to my grandkid. 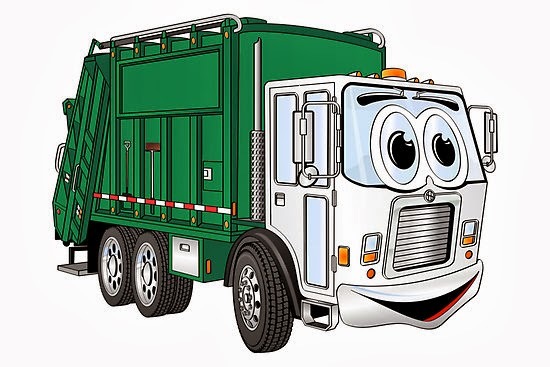 I am amazed that CK is no longer playing with his baby toys and as we went for a short walk the garbage truck traveling the street was the highlight... that is, until the driver honked his horn in greeting. 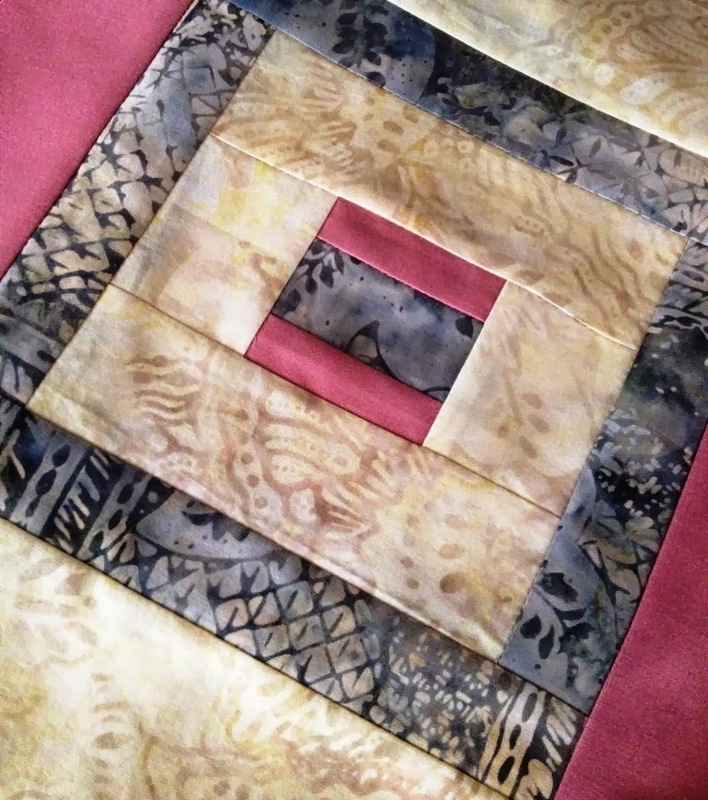 I posted the final and updated presentation of our newest quilt and wall hanging, Blumish Two. Check out Quilts SB for the details. Hallelujah! Alleluia! My desktop PC has finally returned. And it is in exactly the same working order as it was before the surge from the Tampa Electric Company zapped my hard drive. You cannot imagine my relief. As everything was still under warranty I do not have the headaches of filing reams of qualifying paperwork. And that definitely proves one thing, I do get myself set in some routines. And on the 308th day of Jim's Trek I have cycled another 22.0 miles increasing the total miles cycled on my Schwinn 150 to 6,064.7. Where I am in Arizona, I still cannot answer, The Google Maps photo truck appears to not have made it to my current virtual location. According to the satellite image I am travelling in a southeasterly direction on Alamo Road, Highway 15. I am coming up to the intersections of E Cholla Drive and S Six Shooter Road. Again from the Google image these all look like unpaved dirt roads. And I just keep trekking onto my next Interlake address which I believe is about another 1,152 miles to the east. My video travelling companion is now the seventh season of The West Wing. 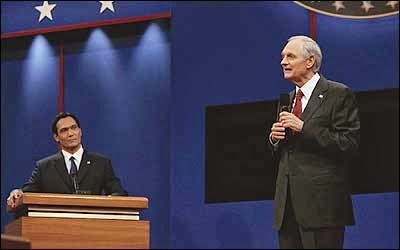 The current episode is the Presidential debate, Jimmy Smits and Alan Alda. I wonder how many persons can watch this episode and NOT forget that the show is fiction. 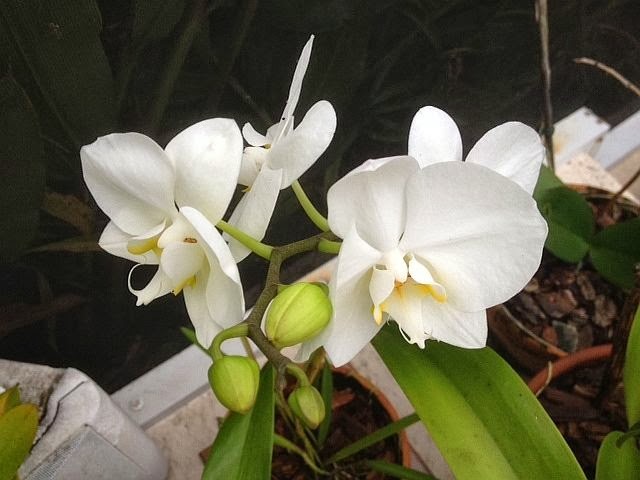 I have been working with Julia Cameron's book, The Artist's Way. In one of the readings she discusses "Perfectionism" and writes "Perfectionism has nothing to do with getting it right. It has nothing to do with fixing things. It has nothing to do with standards. Perfectionism is a refusal to let yourself move ahead..." And you can imagine my reaction. Definitely something for me to think about and ponder for a while. Les Brown, the motivational speaker not the Les Brown the bandleader, aptly states to "Shoot for the moon. Even if you miss it you will land among the stars." Maybe my Trek is that shooting for my moon? Good news, another 10 years. Yesterday I had a recollection of Rawhide as I was guided to my vivarium. When I awoke I heard someone yell round 'em up, move 'em out. I am just getting younger. Today on my Schwinn 150 I cycled 22.0 miles and burned 664 calories. I am in Arizona and I haven't got a clue where I am. Google Maps tells me that my virtual position is Alamo Road or Highway 15. The little dude will not allow me a street view. 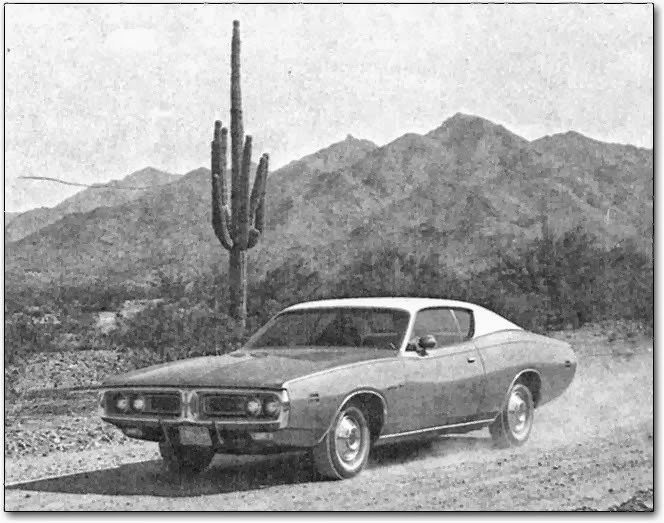 I am south of Yucca and the Chrysler Arizona Proving Grounds. I have now cycled 6,042.7 miles. My video companion of The West Wing has now moved into the seventh season. The United States, Washington, elections, evolution and intelligent design and creationism. And there is a leak in The White House. Still no PC this morning. But I just received a call that my system is ready and should be working at exactly where it is was almost a month ago. Phase 1 on the reconstruction has been finished and the kitchen sink has arrived. The new cabinets and the counter tops have been promised for next week. I will be happy to move back into the real, no pun intended, world. Today is a forced stop of my Trek on my Schwinn 150. This is the 11th day and time since December 2, 2012 that I have not cycled. It seems strange that I am not getting on my Schwinn 150 this morning... but as I cannot have anything to drink until later this afternoon it is probably is a sensible move. This morning is a beautiful day. 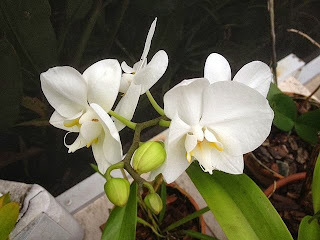 It is 67.1 °F in Tampa... and the new Dendrobium orchids are blooming. A recent Forbes article written by David DiSalvo How Exercise Makes Your Brain Grow certainly indicates that maybe one can "teach an old dog new tricks". Today I finished another 22.0 miles on my Schwinn 150. 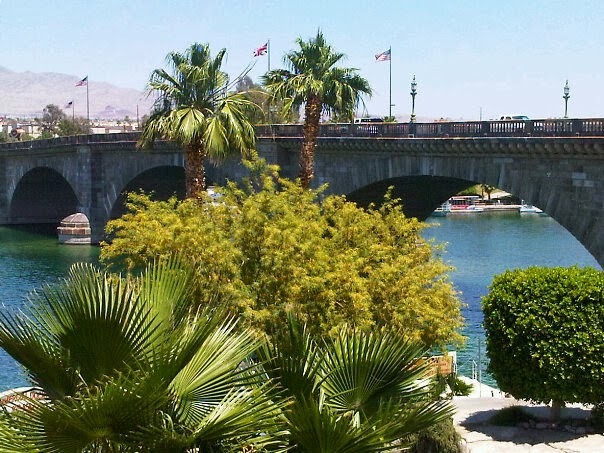 And today I have reached two more goals: my 32nd Interlake address goal at Interlake Dr, Lake Havasu City, Arizona and 6,020.7 miles. I certainly would save on landscaping and lawn upkeep and costs at this Interlake Drive. I am now headed north on AZ-95 N and I am about 10.5 miles outside of Lake Havasu City, population 52,200. 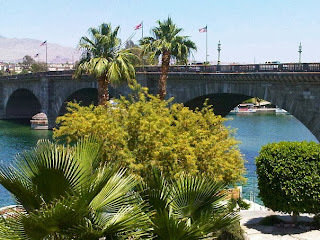 And it is the current home of the famous and infamous London Bridge. 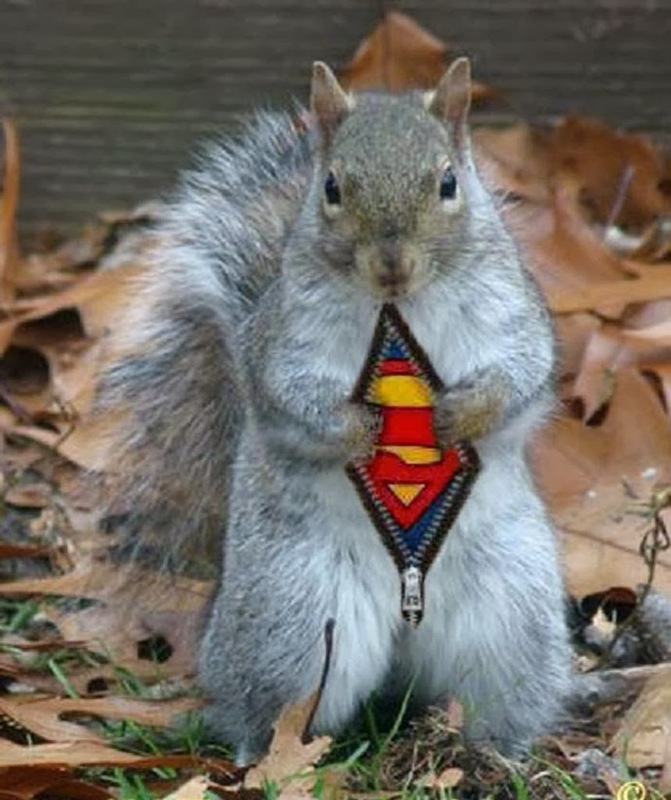 Today's cycling was completed while the Rat Pack pranced about between the open house, our neighboring squirrel acrobatics, and the workers replacing the drywall, stage one of the house reconstruction. And yes I used ear plugs as I watched my episodes of The West Wing. And my diet today is all liquids, excepting of the shades of red and purple. I am prepping myself on the eve of my fantastic voyage. But Jim's Gotta Eat?? And the more and more I watch the episodes of The West Wing the more I wonder whether Aaron Sorkin created a fictional, albeit reality, show or a satirical presentation of the lives and immediate times of our current illustrious members of this country's government. It is a good soap opera... and at times I have to tell myself that I am merely watching fiction not necessarily fact. And now only 1,132 miles to go to reach my next Interlake address goal. Please let me know if you find one between Arizona and Texas. This morning I began my virtual meandering in the State of Arizona. To tell you the truth the scenery from the Google Maps certainly is not that much different as it has been for the last couple of weeks. I am on AZ-95 N somewhere to the east of SARA Park. And now for the real part. Today I clocked in 22.1 miles and burned 638 calories on my Schwinn 150. And I'm holding my breath on this one... Two years ago, after lightning fried the old refrigerator, the door on the brand new one was replaced and the ice maker engine and contraption changed five times. The ice-maker just kept shutting down. Well, and not saying that this was the solution, but, a simple adjustment to reduce the size of the ice-cubes seems to have been the issue and possible fix. 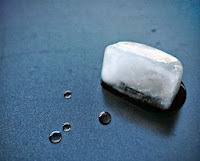 Moral of the story, and I hope I am not jinxing myself, if at first you don't succeed, melt your ice-cubes. All six of The Pack are howling, yelping, and hah-rumphing while chasing one bloody squirrel that believes he is a high-wire acrobat on the zenith of the lanai screen. Six canines prancing. One fuzzy rodent dancing. This morning I cycled, once again, another 21.7 miles on my Schwinn 150. I'm closing in on the 6,000 miles. And you didn't think that I could do it? There are just too, too many benefits gained that this oldish body must definitely be thankful. This morning on my virtual Trek I am now headed northeast on AZ-95 N. I crossed the California State border over the Colorado River into Arizona at the Town of Parker. The population of Parker is somewhere about 3,200. I continued on AZ-95 and I reached Parker Strip, population 3,300. And I guess I will still see dry ground for some time. Obviously I am not headed in a due easterly direction to my next Interlake address goal point. I have about 56 more miles to my 32nd Interlake goal. I am now going to search for my next one and 33rd on my route back to my home in Tampa, Florida. I taking guesses as to what my waist measurement will be at the end of my Trek of about 8,200 miles, give or take, on my Schwinn 150. From the beginning on December 2, 2012 I have gone from a 44-inch to a 33-inch waist. Wonder what more? And my main PC is STILL in the shop. This morning, surrounded by six members of The Rat Pack, I completed another 21.7 miles on my Schwinn 150. Total miles in 303 days, 5,954.9. I am just 13 miles from the Parker, Arizona and I'm headed east on CA-62 E. I'm still in California and I certainly did not realize the vastness of the desert. 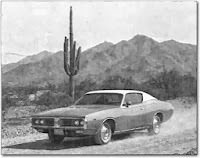 Certainly pays mind to Hammond's and Hazelwood's 1972 "It Never Rains in Southern California". Update on PC fix this morning: data transfer is still in progress. Should be returned in another day. And then my notebook appears to be going on the fritz. What would I be doing without the use of electronics? I wonder? Began some new work on my Smith genealogy. I have begun sifting and searching through documents from the Grenada archives, via microfilm from the Family History Library. The initial documents with Smith references are dated between 31 August 1797 and 11 July 1801. My goal is to find some shred of evidence and possible referrals to my three-times great-grandfather James Smith. I need my PC. Currently working on the new designs for two new quilts: The Bird Cage and GPS. The Bird Cage is based on JG's construction of extraordinary bird houses. GPS is an inspiration of the art of GK. Who knows where these will lead? Details to follow on Quilts SB, when I get my PC back. Thank you CJM for the prodding this morning. I am in competition with no one. I have no desire of playing the game of being better than anyone. I am simply trying to be better than the person I was yesterday. And I love the Scotch Bonnet Pepper Spread.